Fantini Bakery decided in 2010 that, because of its continuing growth and the need to update to more modern technology, investment in new generation moulding technology was essential. Increased output capability, lower costs, improved quality, easier cleaning and maintenance and better sanitation were all on the list of objectives. The possibility of eliminating flour dust was a particular incentive because of allergy problems within the bakery. The purchasing process involved an assessment of the full range of moulders on the market. 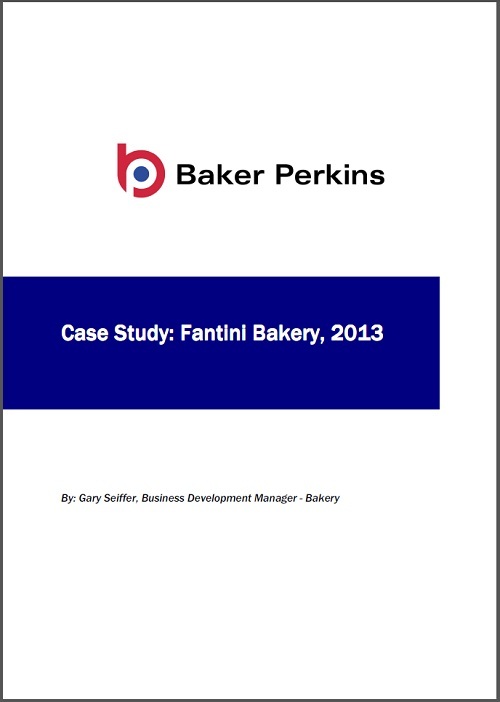 Fantini then installed a Baker Perkins Multitex4™ moulder for extensive on-site trials, and the excellent results obtained played a key part in the decision that this machine would provide the best value. It meets all production requirements, and incorporates the latest technology. Baker Perkins’ reputation for durable, solidly built equipment was also an important factor. The case study can be viewed here.